Despite the fact that I’m a writer, which conjures up images of long days glued to the desk, I consider myself to be pretty active, and I try to maintain momentum by working out regularly. 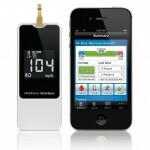 So I’ve been intrigued by the newest wave of wearable health and fitness products meant to track daily activity levels. 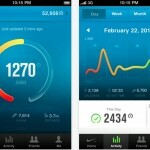 This week, I’ve been testing the $149 Nike+ FuelBand, as well as BodyMedia’s $199 Fit Link armband, with varying results. 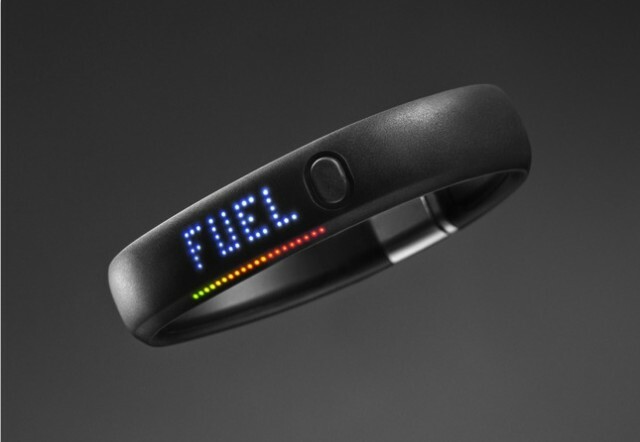 The Nike+ FuelBand generated a lot of buzz when it was introduced in January. It’s currently sold out, aside from availability at a couple Nike retail stores in New York City. Otherwise, interested customers have to sign up on Nike’s Web site to be notified of the next shipment batch. 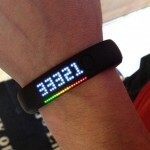 In my five-day test of the Nike+ FuelBand, I liked its design, ease of use, and overall coolness quotient. But I didn’t always find the “Fuel” metric — Nike’s new way of calculating exertion levels — to be super useful. On the flip side, while I wouldn’t give BodyMedia’s armband any design awards, it tracked more of the kind of data I’m interested in. The Fuelband is a plastic wristband with a smooth, rubbery coating that measures a wearer’s steps, calories burned and Fuel levels, and then syncs the data with an app on your iPhone. It also acts as a watch. The FuelBand comes in three sizes. After adjusting the fit using a small insert that comes in the packaging, I eventually forgot I was wearing mine, aside from some minor annoyances, like when it tapped against my laptop. 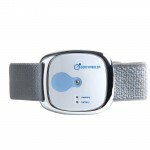 The wristband’s display of LED lights really stand out, and garnered enthusiastic responses when people noticed it. There’s a single button on the band, for toggling between functions. A USB connector at one end of the FuelBand is used for charging the device and for syncing data through a computer. Nike estimates that the battery will last up to four days without needing a charge, factoring in several “sync” sessions a day. In my test, the FuelBand went almost exactly four days without needing a charge, though this was skewed slightly because I plugged the FuelBand into my computer at one point to sync the data online, which automatically prompted more charging. After registering my band online, entering in my height and weight, and setting my daily Fuel goal at around 3,000, I downloaded the free Nike+ FuelBand app from the App Store (the app is currently only available for iPhone). Syncing the FuelBand with the iPhone app was easy and took just about 10 seconds with a good Bluetooth connection. On the main page of the app, the data appears in a circle with a giant Fuel score in the middle, but I could also view my activity in a linear graph. While the band only shows the number of steps taken, the app displays distance in miles, which was helpful. I found myself wishing the band would display distance in miles. The Fuel number is drawn from a table created by Nike’s team of researchers, which studied various activities — for example, walking, running, playing tennis, etc. — and the levels of oxygen needed during those activities. While Fuel factors in your movement, it doesn’t factor in your height, weight, or body mass index. 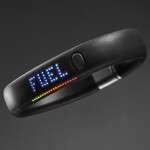 It’s meant to be a universal currency for everyone using the FuelBand. For the most part, my Fuel levels were in line with my activity levels, but there were some aspects of Fuel I thought were sort of bogus. My Fuel level on Monday was hundreds of points higher than the next day’s level, even though I went for a two-mile run on Tuesday. On Wednesday, I lifted some light weights for about 30 minutes, which netted me 207 Fuel points, and then jogged for 20 minutes, which nearly tripled my Fuel score. But then I sat on a plane for 4.5 hours, so I didn’t reach my goal of 3,000 Fuel points for that day. On Thursday, I worked out twice, which is not a regular occurrence for me, but I did this for the sake of testing activity bands. Both workouts were aerobic, and lasted around 35 minutes. And yet I still didn’t hit my Fuel goal that day. One explanation for this, according to Nike, might be that I was more consistently active on days I didn’t exercise, like Monday (which would make sense, because I was running around the South by Southwest festival in Austin that day). 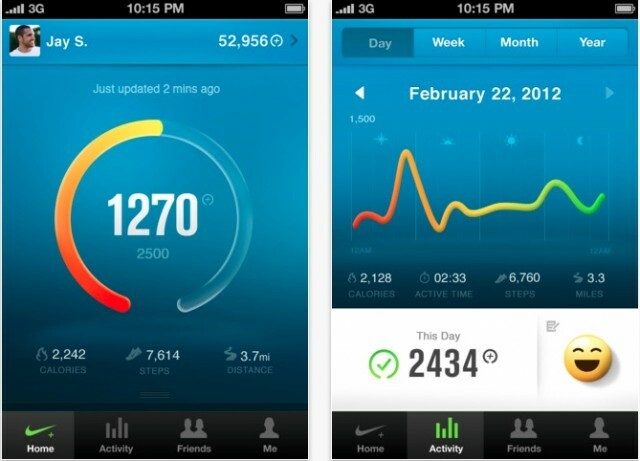 In the Nike Fuel world, one great hour of exercise isn’t supposed to make up for 17 hours of inactivity. 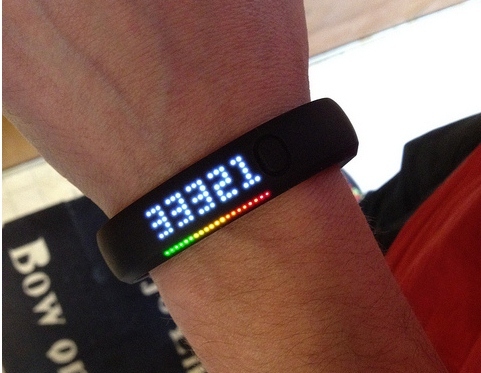 By connecting to Facebook and Twitter, FuelBand wearers can share and compare Fuel scores. 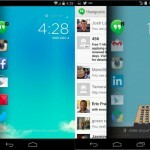 I liked the competition it created with other friends who were sharing their scores and I liked the reactions I got from the Twitterverse; to me, that was the best part of Fuel, and I could see why this would be motivating for users. 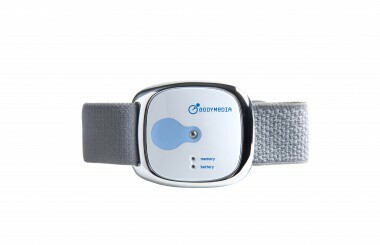 For comprehensive data tracking, I actually found the BodyMedia Fit Link armband to be more useful than the FuelBand. Like Nike’s device, and the Fitbit, the Link armband measures steps and overall movement, but also uses sensors to detect changes in the skin’s surface temperature. So, while it doesn’t measure heart rate (the beauty of this new wave of fitness bands is that many of them don’t use heart-rate straps), it measures the body’s reaction to changes in heart rate, according to BodyMedia CEO Christine Robins. I also liked that BodyMedia’s product incorporated weight goals, my caloric intake as well as output, and my sleep patterns, through a comprehensive online dashboard. 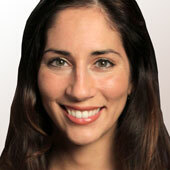 Access to these advanced analytics online will cost users $6.95 a month, after a few free-trial months. One night, I slept wearing both the FuelBand and the BodyMedia band. The FuelBand, which isn’t supposed to measure sleep patterns, only showed that my activity level had flatlined. The BodyMedia band, on the other hand, recorded how many hours and minutes I was actually sleeping, out of the total time that I was lying down, and calculated my sleep efficiency based on that. 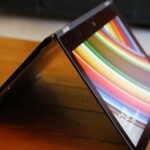 The BodyMedia Fit Link band has its own drawbacks. There’s no display of information on the band itself, and it’s hard to forget you’re wearing it. It’s a bigger band that fastens to your arm, whereas the FuelBand feels like a thick bracelet. The armband also costs more than the FuelBand, and in my experience, syncing my Link armband to my iPhone was problematic. The company plans to release a new app, due this spring, that allows for better Bluetooth syncing, so users can update their BodyFit iPhone app and Web accounts at the same time. For users looking for an activity-tracking wristband that tells you when and how much you moved throughout the day, the Nike+ FuelBand may work. But for serious weight-trackers or people looking to track segmented workouts, a product like a BodyMedia band or even a Nike+ SportsWatch would probably be a better fit.